This lithograph illustrates the chaos and conflict engulfing northern Mexico during the years of the Mexican-American War from 1846-1848. 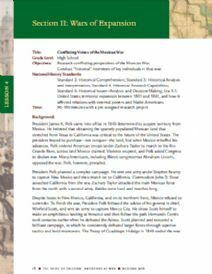 In these years the United States organized an Army of Occupation, initially led by General Zachary Taylor, to capture cities like Monterrey in preparation for a later assault on the Mexican heartland. 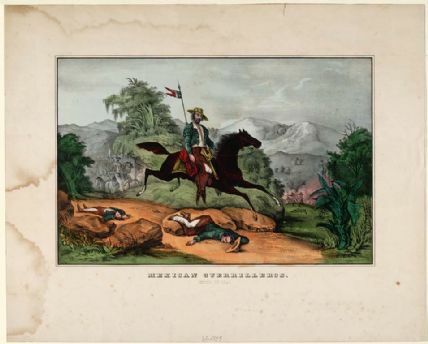 The figure on horseback is a Mexican guerilla fighter.